Importantly, the work of all these men occurred during times of cultural change, which gave rise to new ways of worship within the landscape of American Methodism. Addressing them in chronological order, this study shows how each figure enacted liturgical reform and renewal by drawing from the liturgical textual tradition inherited directly from John Wesley’s Sunday Service of the Methodist in North America as well as the hymnody of Charles Wesley. It also demonstrates how they sought to inculturate the Wesleyan liturgical tradition in the midst of these significant changes. Evaluating historic and emerging trends in Methodist liturgical praxis, this is a book that will be of great interest to scholars of Methodism, the History of Religion, Liturgical Studies and Theology. 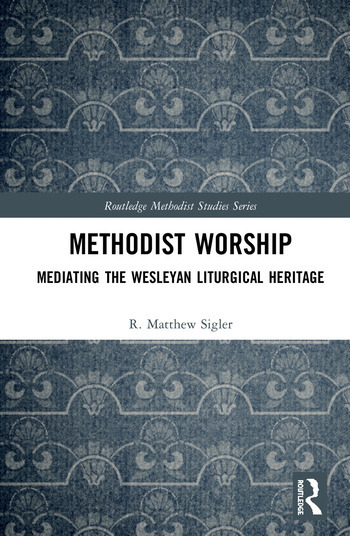 Matthew Sigler is Assistant Professor of Wesleyan Studies and United Methodist Liaison at Seattle Pacific University, USA. He is particularly interested in how the faith practices of communities of the past can affect the church today and has published articles on these subjects in journals such as Worship and Liturgy.